Gastroenterology Specialist Century City, Practicing Physician 90067 Dr. Payman Khorrami was born in 1965 in a family who values advanced education and high scholastic achievements. He immigrated to the United States when he was 13 to pursue his education. In addition to independently taking various AP classes in high school, Dr. Khorrami was also a competitive swimmer and attended chemistry classes at Cornell University. Dr. Khorrami graduated at the top of this class when he was only 16 years old with multiple awards, nominations, and multiple academic scholarships. Dr. Khorrami attended University of California, Berkeley, where his love for math and science attracted him to earn a bachelor's degree in Chemical Engineering. He continued to strive to be his best both in the classroom and outside the lecture halls. He was awarded the university Certificate of Distinction and multiple other educational awards. During his independent research study at Berkeley, Dr. Khorrami created and solved an algorithm to predict the decay of chemical polymers. His presentation of this novel concept won first place at a Western Regional Competition for college engineering research, and his findings were published by the Society of Petroleum Engineering (SPE Reservoir Engineering, February 1988). Dr. Khorrami then pursued his study of medicine at the University of California, San Francisco school of Medicine. While there, his passion for science and discovery continued to drive his research endeavors. His research in oxygen metabolism in heart failure in laboratory pigs had such important implications in the lives of patients with heart disease that the data collected were published in two separate international medical publications (British Heart Journal, November 1993 and Journal of American College of Cardiology, 1994). Throughout his time in medical school, he continued to swim daily, he was the photographer for the school newspaper and also served on the medical school admission committee. He continued his advancement in scientific investigation, and published additional papers about infections in people with AIDS (Journal of Clinical Infectious Diseases, 1993) and about patients with advanced liver disease (American Journal of Gastroenterology, 1993). Dr. Khorrami completed his specialty training in Gastroenterology at UCLA Medical Center, David Geffen School of Medicine. Dr. Khorrami chose this field because he was interested in treatment of digestive disorders, and also because he wanted to play a role both a general family doctor as well as a trained specialist. At UCLA he was exposed to the full breadth of medical knowledge and experience needed to become a seasoned specialist. At the same time, he was elected as the president of the Healing Spirits Group at Hadassah, a non-profit organization devoted to education and fund raising for various local and international medical causes. After graduating from UCLA, Dr. Khorrami established his private practice at Century City Medical Plaza, where he has been attending to patient care since 1996. He sees patients 5 days a week in his office where he has developed a reputation for a caring attitude and a whole person approach to healthcare. He also spends a part of each day consulting as a Gastrointestinal specialist at Cedars Sinai Medical Center and Olympia Medical Center, where his expertise are requested for the care of the most complex and emergent digestive disorders. Dr. Khorrami's ongoing goal is to provide state of the art medical care and to preserve the traditional doctor-patient relationship amidst the rapid changes in the healthcare industry. Dr. Khorrami married Dr. Roya Golshani in 1999 and the couple have two daughters and one son. 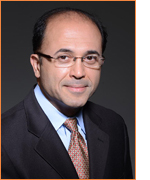 Dr. Golshani is a specialist in Internal Medicine with a focus in Women's Healthcare. The two doctors share their offices at Century City and benefit from a daily collaboration in healthcare delivery to their patients. Dr. Khorrami enjoys swimming, bicycling, and photography. He plays the drums and has fun jamming with his "family band". “Dr. Khorrami and his team are the best. They provide full service care that is above and beyond the norm these days."